Offered to athletes ranging from 1st - 5th grade. 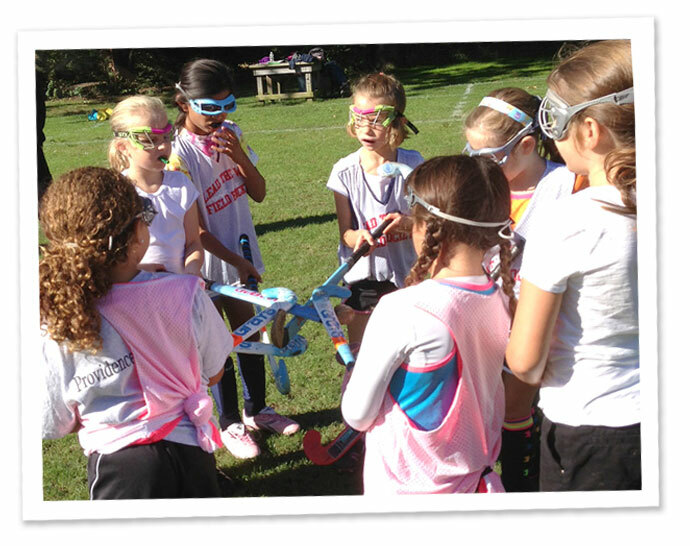 The goal of the youth program is to provide an opportunity to introduce field hockey in a fun and supportive environment. Programs are for the beginner to intermediate player and are offered seasonally throughout the year. The winter practice will be held indoors on astrograss. Each practice session will include basic fundamental skills, small game play and fun competitions. This camp offers a great way for girls to learn and improve on their basic fundamental skills and learn advanced skills. Beginners to Advanced players are encouraged to register and girls will be placed in appropriate skill groups. 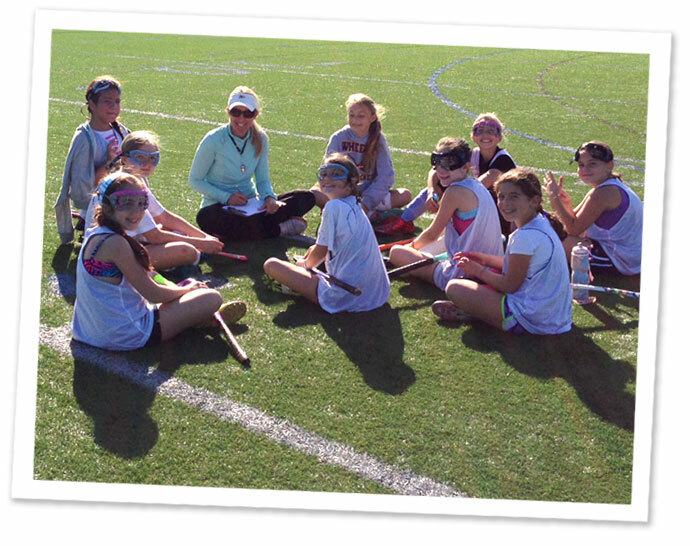 The goal of the camp is to provide an opportunity to teach field hockey in a fun and supportive environment, as well as an emphasis on developing leadership skills. In addition girls will also enjoy swimming, kayaking, crafts and team building activities. Lead the Way Fall League consists of teams throughout RI and Southern MA – locations will alternate week to week. Girls will be placed on teams based on their current grade. Programs will be offered in several locations and players can register based on their regional preference as shown below. Players will practice one time per week and participate in League games held on Saturdays.